This is the portal of a lighthouse. I think the popularity of lighthouses is partly due to the lure of a fantasy. A fantasy of escape into desolation, like the imagined desolation of lighthouse keepers in the past. 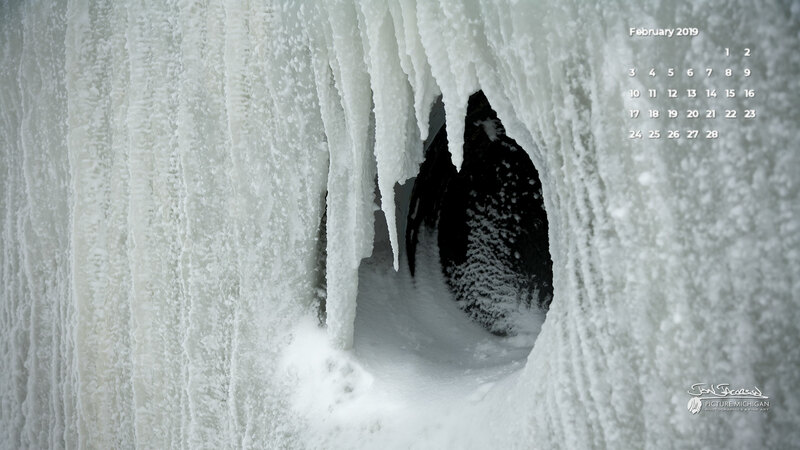 The icy scene can only draw us deeper into that desolation. No alarm clocks, no co-workers, no diapers, no phone bills. Peering out through the window, holding our breath so the cold surface does not become foggy, is this really the fantasy we seek?